Emil Nolde was a member of the German Expressionist artist group Die Brücke (“The Bridge”). He came early to Expressionism. 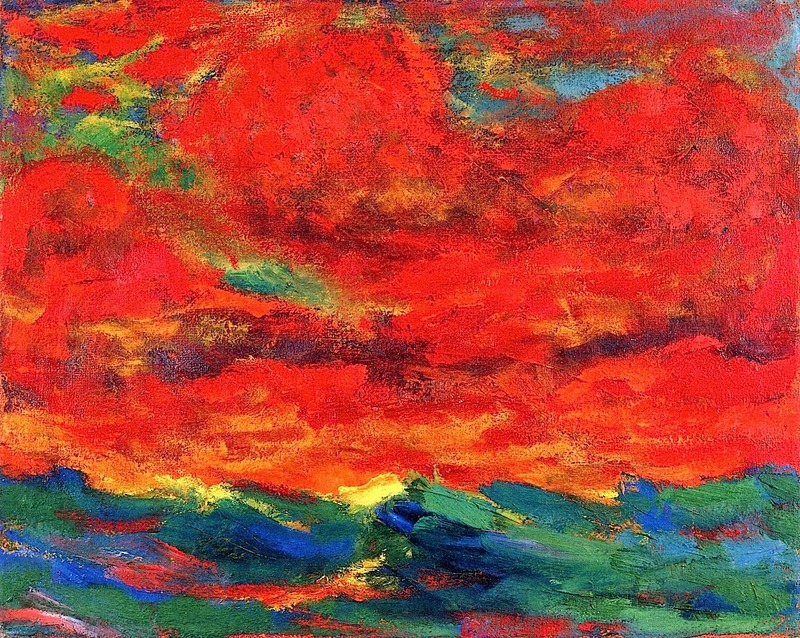 Emil Nolde is now considered to be one of the great oil painters of the 20th century. What defines him most is his choice of colors and his expressive brushwork. He shares his vigorous “painterly” style with other notable German expressionist painters such as Hubert Roestenburg and Oskar Kokoschka. 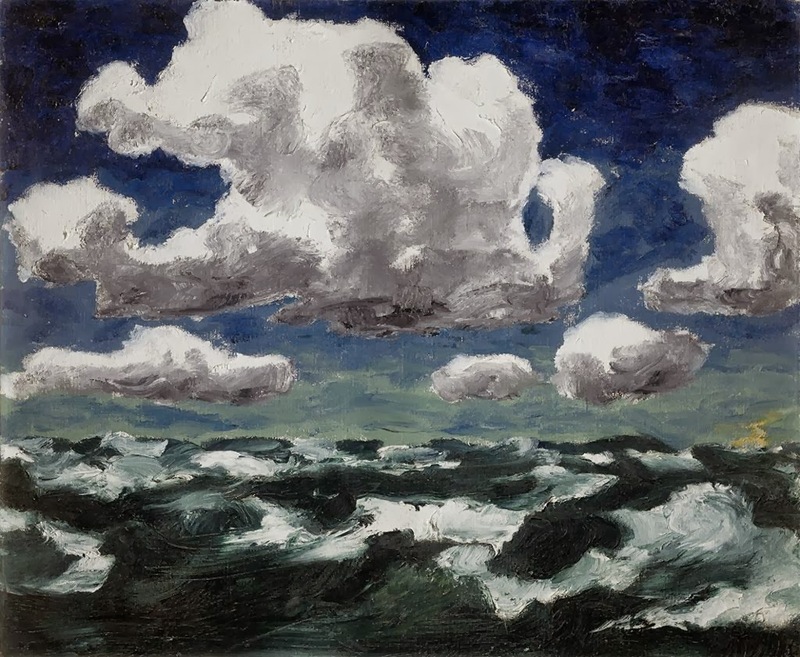 Emil Nolde was born near the village of Nolde in what was then the Prussian Duchy of Schleswig (now Jutland, Denmark). He attended the School of Applied Arts in Karlsruhe. Later he became a drawing-instructor. He left this job to pursue his dream of becoming an independent artist, although he was already 31 by the time he made that decision. After being rejected by the Munich Academy of Fine Arts, he took private painting lessons. He also visited Paris to study the impressionists. From there he moved to Berlin where he met Karl Schmidt-Rottluff. 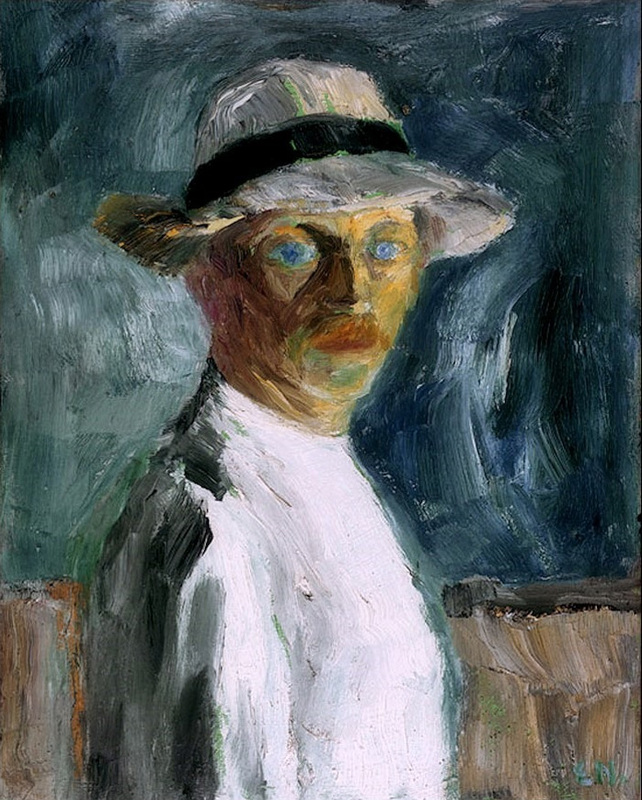 He was a brief member of the expressionist group Die Brücke (“The Bridge”). Around this time he began to have some success and changed his name from Emil Hansen to Emil Nolde (after his birth place). He exhibited with the group Der Blaue Reiter (“The Blue Rider”) founded by Kandinsky. 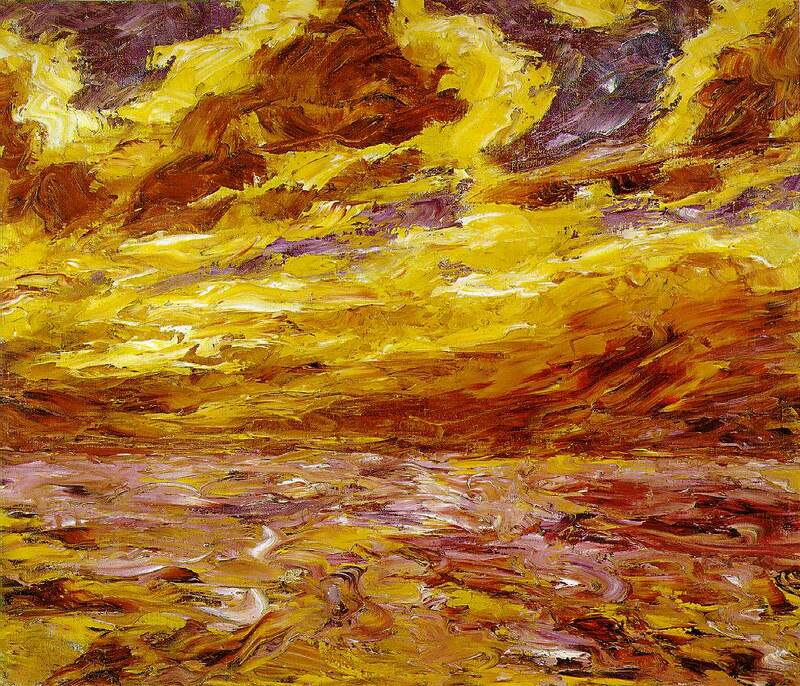 Emil Nolde was an early supporter of the Nazi party. Ironically, after initial recognition by some Nazi higher-ups, Hitler eventually rejected all forms of modernism as “degenerate art”. 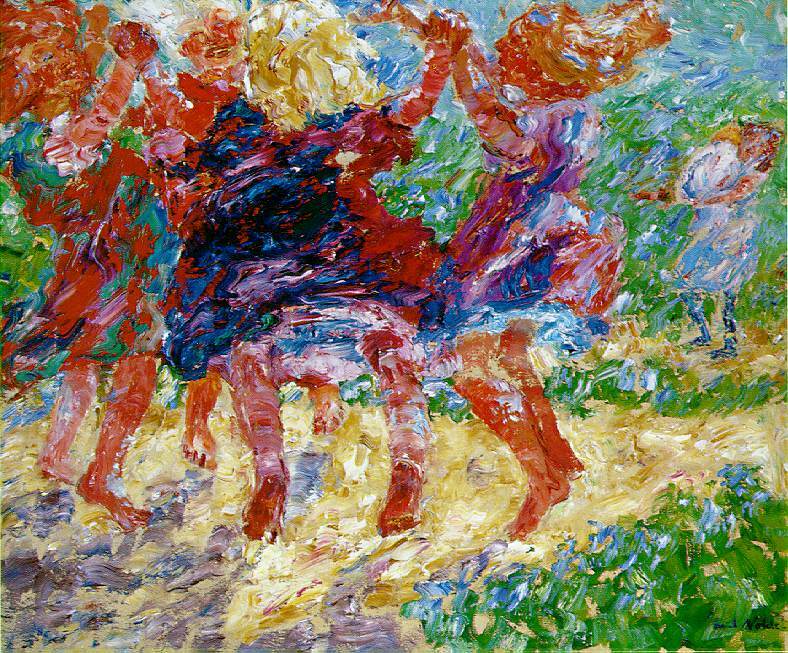 The Nazi regime officially condemned Nolde’s work and forbade him to paint or exhibit. note by the editor: I picked the photograph on the left because he seems to hang his head in shame (I hope).